In 2014, the Japan Foundation Asia Center and the Tokyo International Film Festival (TIFF) started making a joint effort, in order to deepen understanding among Japan and other Asian countries. Asian Three-Fold Mirror appoints three accomplished directors from Japan and other Asian countries each time, to making an omnibus film with a common theme, and this time, the three directors Isao Yukisada (Japan), Brillante Ma. Mendoza (Philippines), Sotho Kulikar (Cambodia) have been announced to collaborate for the first of the series. For further information, please contact us via any of the means as shown below. This project is a coproduction of an omnibus film directed by three accomplished directors from Asian countries, including Japan. The three directors are to portray people in Asia from their own perspective so that the film will reflect society and culture of the directors’ respective countries, just like a trifold mirror, to understand neighboring countries and find one’s identity or way of life as an Asian. They are required to put people who have some connection with other Asian countries, and to shoot a film within Asia. In other respects, they will create their own story freely under a common theme. The film is to premiere at the 29th Tokyo International Film Festival in 2016, and then to be shown at other international film festivals. 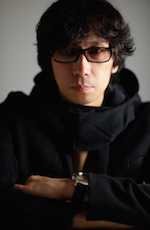 Isao Yukisada (Japan): It will be an exciting experience to work with these two directors. I would like to play a role to help them express their ideas freely. I hope our individual works will be linked to create one film that can make audience have limitless imagination like going through the moebius strip. Brillante Ma. Mendoza (Philippines): I am grateful and excited to be given the opportunity to participate in this project and to make a film in Japan. Through this project, I would like to collaborate deeply with other directors so that our individual works are to be well-linked to make one whole film for our audience in Asia and all over the world. Sotho Kulikar (Cambodia): I am thankful for the opportunity to participating in this project. I always feel very close to Japan as I believe Japan and Cambodia have similar cultural roots. I wanted to make a film to create a link between these countries. So I am pleased to be given such a wonderful opportunity. Isao Yukisada made his feature film directing debut with Sunflower (2000), which won the FIPRESCI Award at the 5th Busan International Film Festival. He also won numerous awards for Go (2001), including the Japan Academy Prize. He has cemented his status as a hit filmmaker with a box-office hit Crying Out Love, in the Center of the World (2004), Year One in the North (2005), Closed Note (2007), Parade (which won the FIPRESCI Award at the 60th Berlin International Film Festival; 2010), and other films. He made Camellia (2011) in collaboration with directors from Thailand and South Korea. His new film Pink and Gray will be released in 2016. 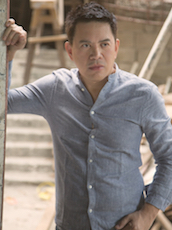 Brillante Ma. Mendoza, who founded an independent film production Center Stage Productions, won the Golden Leopard Award in the 2005 Locarno International Film Festival for his debut film Masahista [The Masseur]. He won the Caligari Film Award at the 2008 Berlin International Film Festival for Tirador [Slingshot] (2007) and the La Navicella Venezia Cinema Award at the 2012 Venice Film Festival with Thy Womb. He also won the Best Director Award at the 2009 Cannes Film Festival for Kinatay. His latest film TAKLUB [Trap] was selected for Un Certain Regard section of the 2015 Cannes Film Festival. 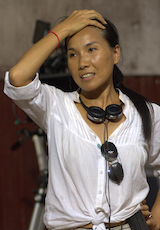 Sotho Kulikar was born in 1973 and grew up during the Khmer Rouge regime and the long-running civil war.She worked as line producer for various films including Lara Croft: Tomb Raider (2001). Through her production company Hanuman Films, she has produced many films and documentaries, including Ruin (which won the Special Orizzonti Jury Prize at the 2013 Venice Film Festival). She made her directorial debut with The Last Reel, which won the Spirit of Asia Award by the Japan Foundation Asia Center at the 27th Tokyo International Film Festival in 2014 and the Black Dragon Award at the 2015 Far East Film Festival. Takeo Hisamatsu was in charge of film production, distribution, and acquisition of foreign films at Shochiku. After serving as the President of a satellite broadcasting company Eisei Gekijo, and Deputy General Manager of Theatrical Distribution in Warner Entertainment Japan, he established his own film production company, My Way Movies LLC in 2015. He has participated in many film productions, including Yoji Yamada’s Love and Honor (2006), Hirokazu Koreeda’s HANA (2006), and Keishi Otomo’s Rurouni Kenshin (2012). At the ASEAN-Japan Commemorative Summit Meeting in December 2013, the Japanese Government announced a vision statement on a new policy for Cultural Exchanges in Asia – “WA Project ～Toward Interactive Asia～.” Serving to achieve two-way art/cultural exchanges and supporting Japanese language learners, the Japan Foundation launched a new department, the Asia Center in April 2014. The Asia Center carries out various projects to foster deeper, mutual understanding and further develop relationships between Japan and our fellow Asian countries. The Tokyo International Film Festival (TIFF) started in 1985 as Japan’s first major film festival and the only Japanese film festival accredited by the International Federation of Film Producers Associations (FIAPF). Since then, TIFF has grown to become one of the largest film festivals in Asia. Every year in October, filmmakers and film fans of all ages gather in Tokyo to enjoy excellent films from around the world and TIFF’s many colorful events. These include TIFF’s affiliatedmedia content- market TIFFCOM, seminars for students, professionals, and business people, and symposiums and workshops for networking with the world film industries, developing international co-productions, and promoting the global film business.